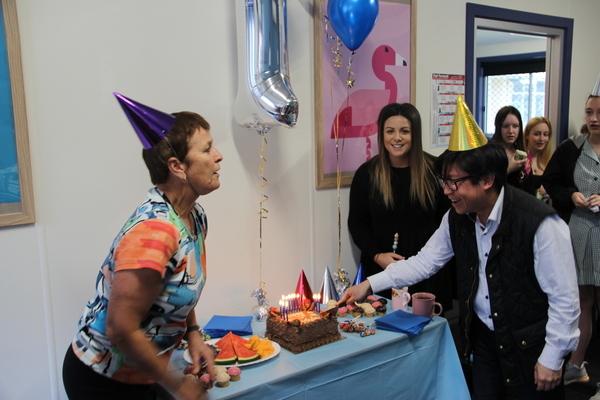 Lyn Scotchmoor, Lisa Mathieson and Dr. Khoi cutting the cake in the GP clinic. 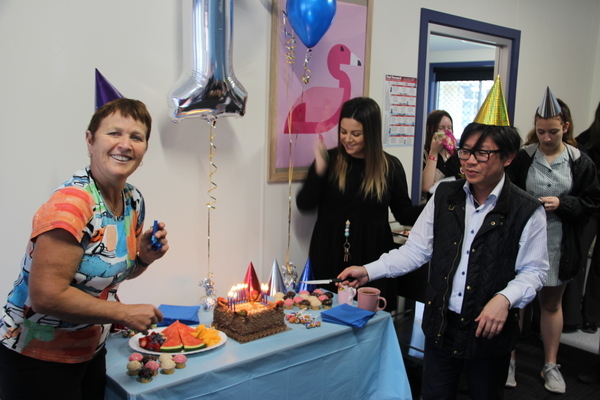 One year ago Healesville High School Principal, Allan Rennick took a leap of faith and opened the school’s in-house GP clinic. Healesville High is part of the Doctors in Secondary Schools initiative where 100 Victorian government secondary schools have been funded to have a GP attend up to once a week. 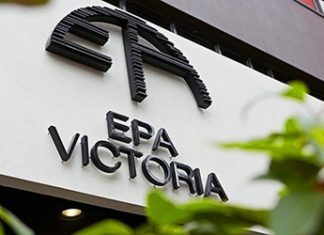 Out of the 135 schools that applied, two from the Yarra Valley were selected, Healesville High School and Upper Yarra Secondary College. “We understood that the idea of students making their own GP appointments was potentially confronting and at the start we had a bit of pushback from parts of the community. However we saw this as a very valuable service to our students and worth pursuing,” Mr. Rennick said. 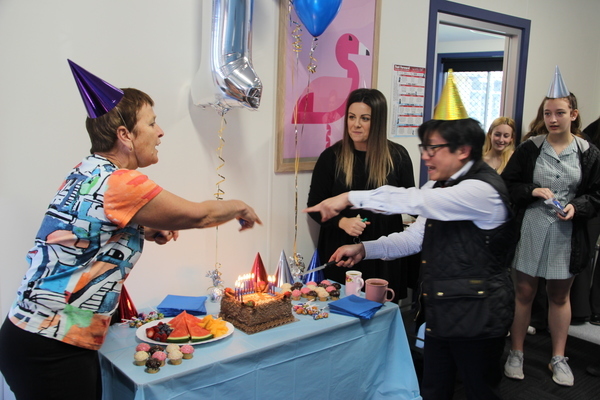 The clinic is run by Dr. Khoi Bui, from Healesville”s Get Well Clinic and he also believes initial expectations have been exceeded. “Its been better than what I thought it would be,” he said. Lyn Scotchmoor is student wellbeing manager at the school and looks at the program from the students perspective. In the first year the GP clinic has seen 117 different students out of a school population of around 400. It operates out of a new facility that resembles a typical suburban GPs surgery, funded as part of the program.